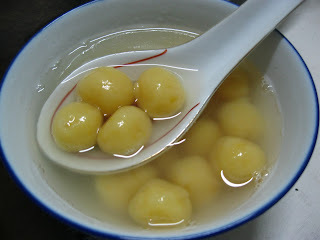 Cook 4 You & Me......: Sweet potato Tung Yuen in ginger sugar syrup.. 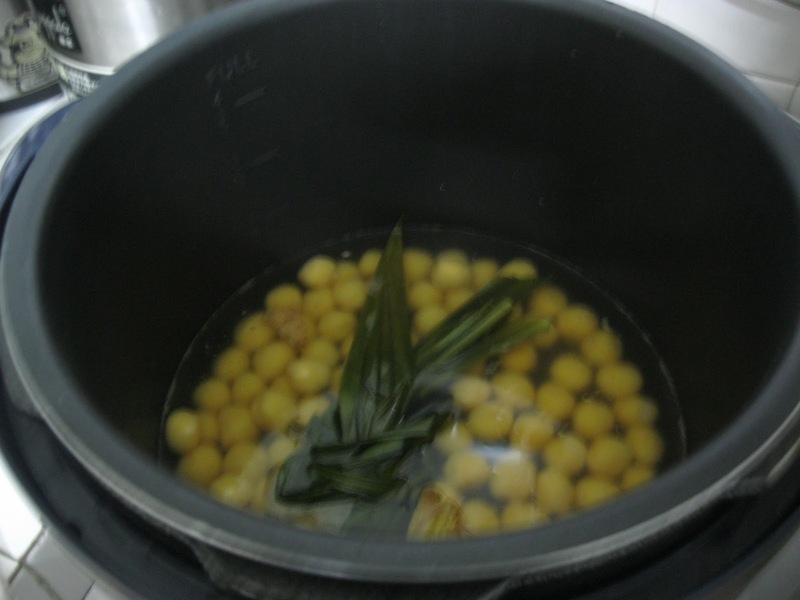 Combine water pandan leaf and ginger in a pot and bring to boil and simmer over low heat for 10 min. 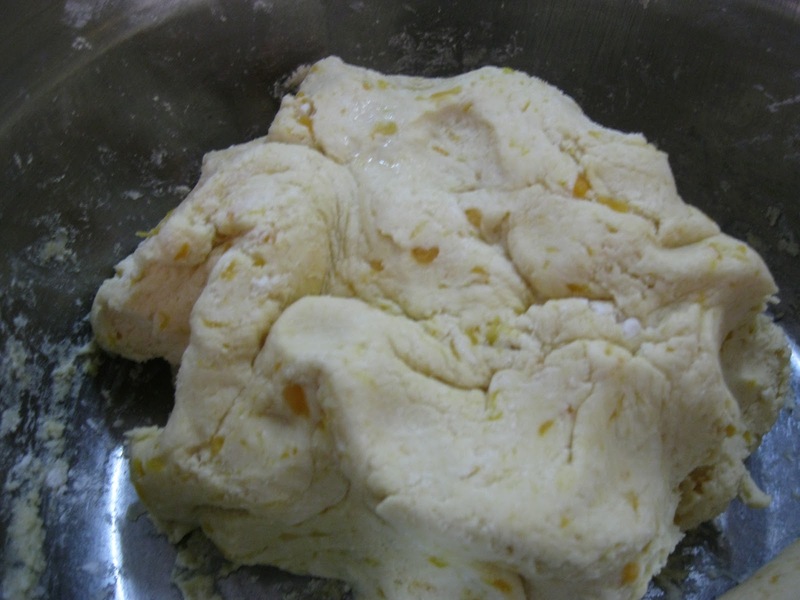 Turn off heat and cover with lid to enhance further the ginger fragrance. 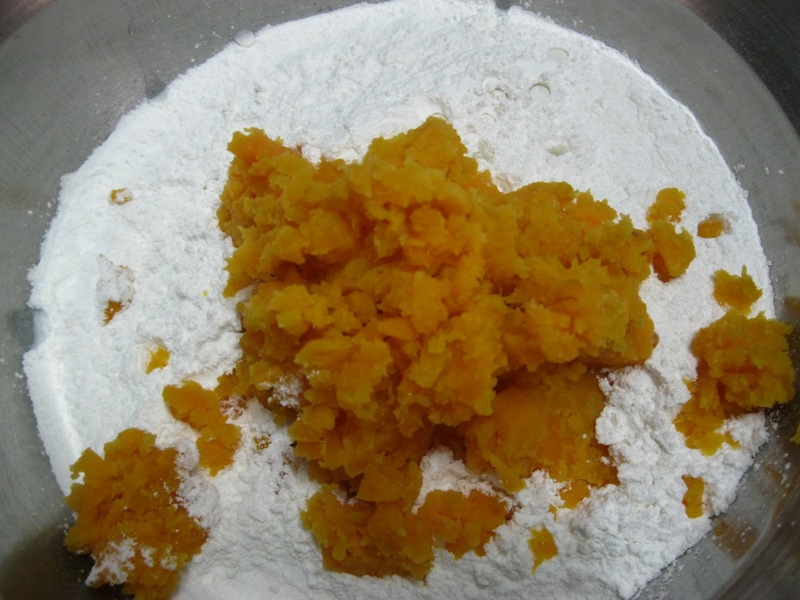 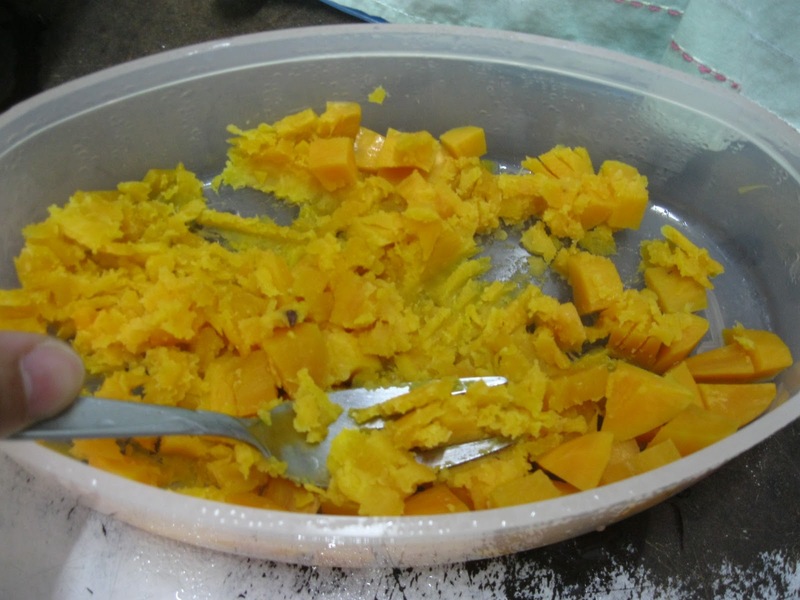 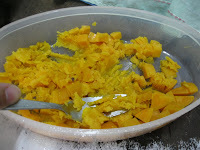 Put glutinous rice flour and rice flour in a mixing bowl.Pour in hot water and mashed pumpkin to mix. 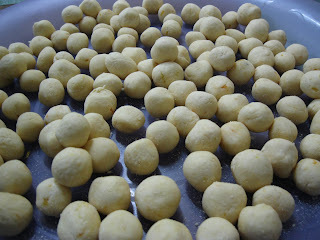 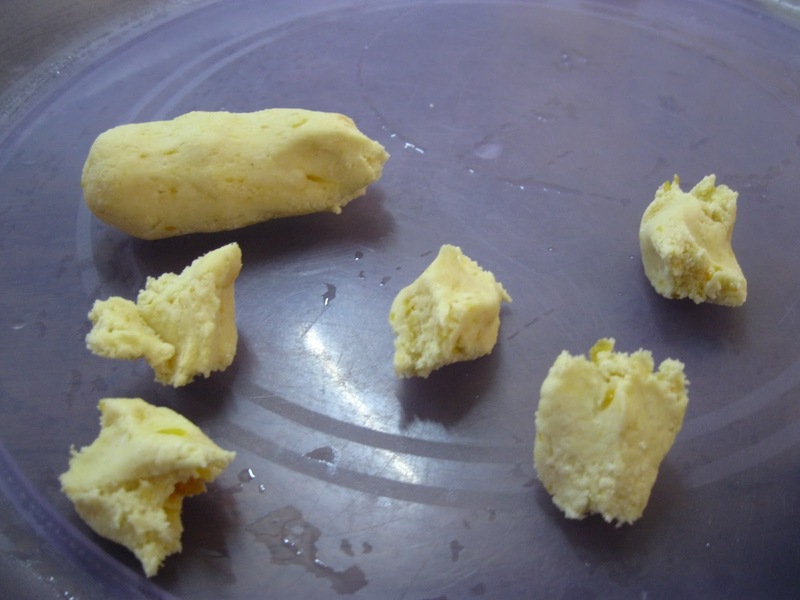 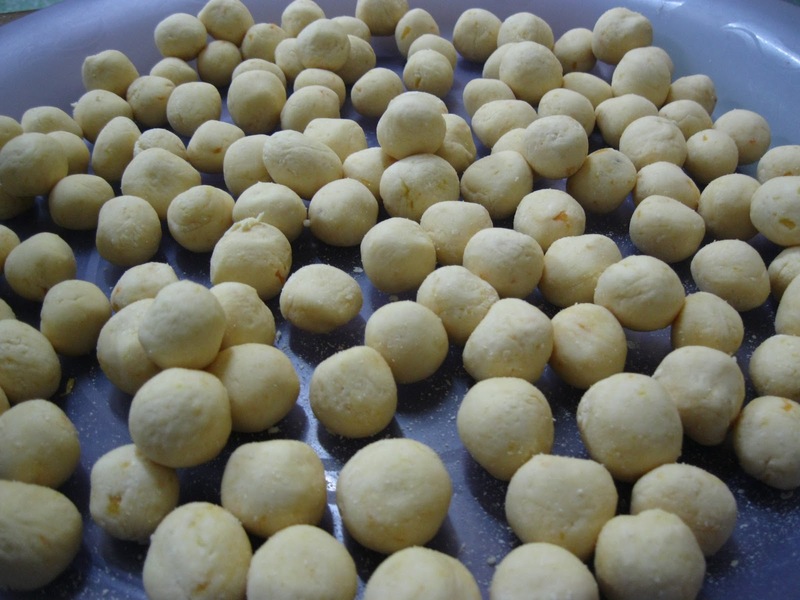 Pinch off small portions and roll into balls,place onto a clean plate. 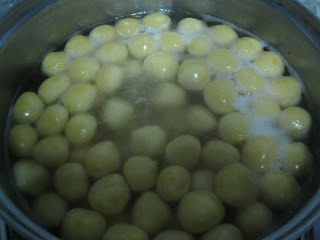 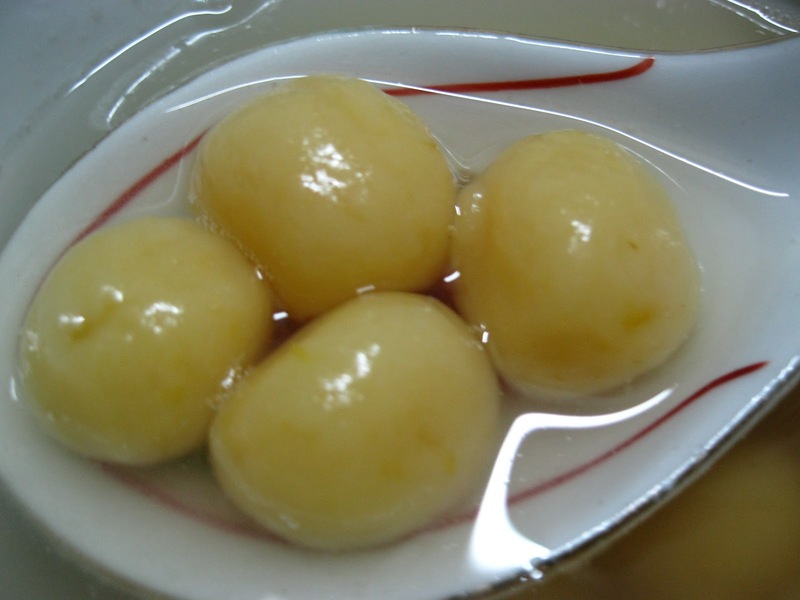 Cook all the small dumplings in a pot of boiling water until they float. 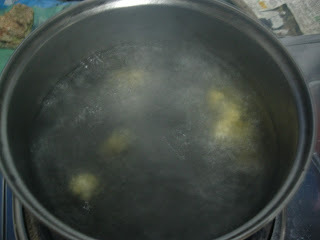 Remove and soak in cold water. 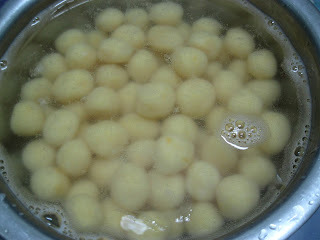 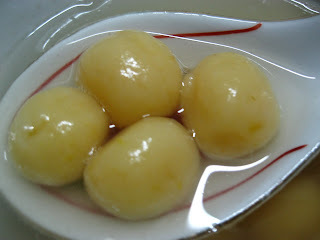 Remove the dumpling from the cold water.Then put the dumpling into ginger sugar syrup.